Voter Forum Template | REV Up! Your Vote Counts, so Go Out and Vote! While an obvious point, remember that your venue must be fully accessible. Make sure that your event listings explicitly describe the accessibility. If you have advanced signups, you can determine whether you need ASL interpreters or CART reporters, although we suggest that you book at least one ahead of time. Advertising your event is the biggest challenge – getting the word out to the right people, early and often, is key. Consider social media, local papers, and area disability service providers. Post flyers at libraries, doctors offices and medical centers. We suggest the following groups / people for participation at your forum. Make sure that all types of disabilities are considered. 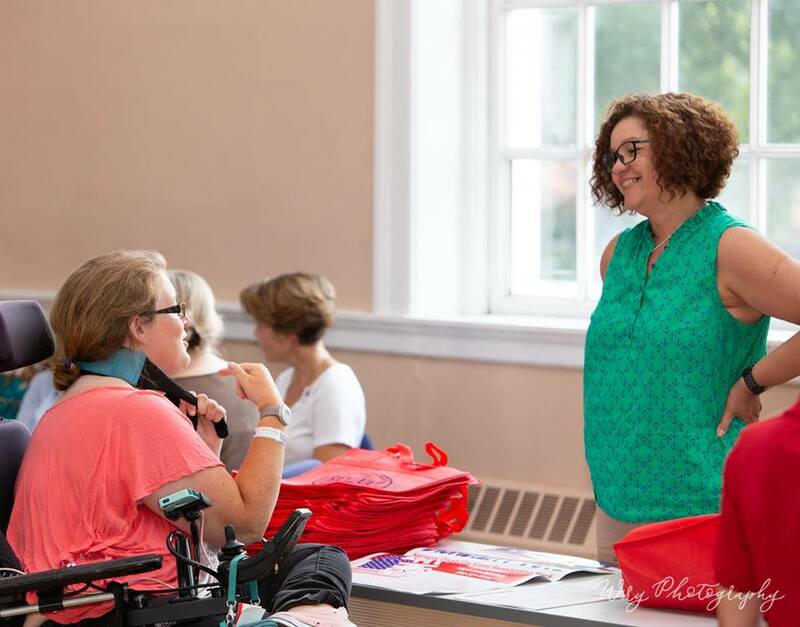 Advancing Community Inclusion and Equality on the South Shore , along with Boston Center for Independent Living and the Disability Law Center recently held a successful Voter Forum. Speakers included Marlene Sallo, Executive Director of the Disability Law Center, Bridget Simmons Murphy, elections specialist at the office of the Massachusetts Secretary of the Commonwealth and Jim Casey, Braintree Town Clerk. Attendees shared voting experiences, questions, challenges and solutions regarding accessibility to voting for people with disabilities. Jim Casey set up an Automark machine. The Automark machine was primarily designed for voters with visual disabilities, but can be used by anyone. 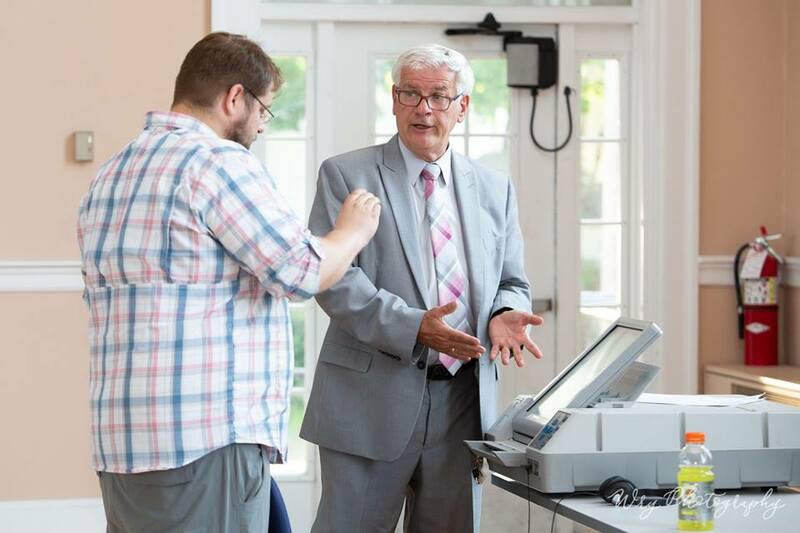 By having the machine at events like this, voters can try it out without the pressure of the actual election day! Below are photos from the South Shore Disability Voter Forum. You can see more on facebook at https://www.facebook.com/pg/southshoreaccess/photos/?tab=album&album_id=1884224661871354. Braintree Town Clerk Jim Casey demonstrates the Automark voting machine as an ACCESS member videos with a cell phone. Automark voting machines are assistive voting technology which allow voters to hear ballot choices, or to view large print or high contrast versions of the ballot. Voters can use the Automark to select and mark their ballot selections as well, making it useful for people who cannot mark a ballot by hand.